VPN is also known as the Virtual Private Network. You can also call it as a server or a configuration. You generally use internet from your ISP (Internet Service Provider), Wi Fi networks like from router or modem. And with the help of internet you search anything that you want. But in internet their are some images, videos, articles or news that have restricted in some particular locations. So to access all these contents people use the VPN. By using VPN you can open any contents that you want. Generally VPN is also a type of network. Through VPN anyone can access a restricted site from different locations. Normally you know that all the websites have a particular IP Address. Through this IP address your browser reach to that websites. And your browser reach out to that websites through your internet service provider and DNS. So if there are some restricted sites for images, videos, songs or news in a country or in a particular place then the people in that area can not access those restricted contents. Because all the restricted contents in your country are automatically blocked by your internet service provider. So when you try to visit that site or content then you see the warning page that say the page is restricted in your country. So if you want to see that content then what to do? So here the concept of VPN comes. This is a private network through which you can access all these restricted contents. The process here takes place is when you use a VPN then all the communications between the browser and VPN server are encrypted. Your internet service provider and no one can track your IP address. All the searches are encrypted. 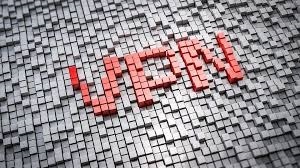 But you can not say that your searches are fully encrypted because the VPN also connected to a internet service provider. So it may be the ISP of VPN monitoring your searches. So when you visit those restricted contents through the VPN then the request reach to your ISP with VPN's IP address and the location became change. So, there your ISP will think that the request is from an other country so it will redirect the request to IP located country. And then the request will reach at the other country in which the restricted contents are allowed. So then that country's ISP will give you the permission to see that restricted contents that are allowed there. So in this way the VPN works. There are lots of VPN apps are available in Playstore. Some of those are free and some are paid. There are also VPN settings are available in the smartphones but it will be not easy for everyone, so by using the apps all the settings will done very easily. But beware of because some of the apps may be fake. They can collect all your privacy. So it will be better if you use a paid VPN. But remember one thing that never use public WiFi without VPN. Because anyone who knows about this, can easily hack your device and can remotely access it. So always use the VPN at the public WiFi networks. But it will be better if you use mobile data at that point. So, I hope you cleared your doubts about VPN. Thanks James. I'm happy that you understood this!! Thanks Jims for sharing your experience regarding our post. I'll try to add more stuff that you can understand. Thanks Mona for sharing your experience regarding our post!! Hey, Ella i'm very happy for your valuable comment. Good Information! However, there are so many free VPN available on Google Play Store that are simply not reliable. I would recommend paid apps like PureVPN or other services. Yes, Nick i agree with you. Nice post. Keep it up ! !